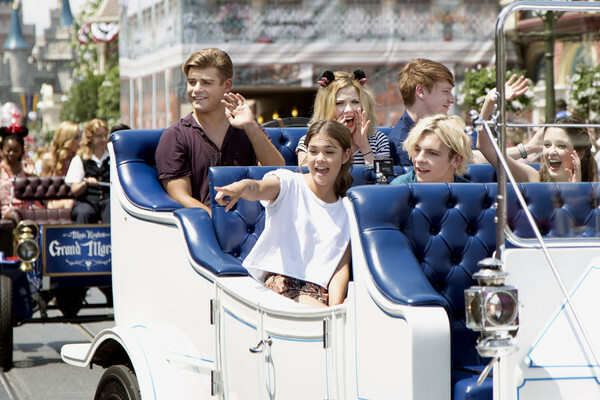 In this handout photo provided by Disney Parks, (Clockwise from top left): Actors Garrett Clayton, Grace Phipps, Calum Worthy, Laura Marano, Ross Lynch and Maia Mitchell join fellow Disney Channel stars as the Grand Marshals for the Disney Festival of Fantasy Parade at Magic Kingdom Park at Walt Disney World Resort on May 22, 2015 in Lake Buena Vista, Florida. The stars visited the theme park during the 24-hour kick off to the 'Coolest Summer Ever' at Walt Disney World Resort. Magic Kingdom is one of four theme parks at Walt Disney World Resort in Lake Buena Vista, Florida.